The pasilla chili comes from Mexico, where its name means “little raisin” and where it is a key part of the local cuisine. The chili peppers are moderately hot with a heat level of 1,000 to 3,000 Scoville heat units. 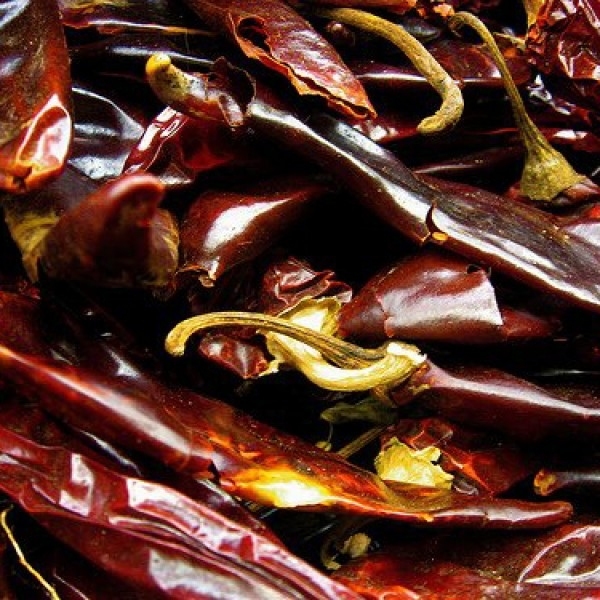 When used fresh Pasilla are called chilaca and add a rich flavour to enchilada and chili sauces. The dried chocolate brown pods have rich mellow taste with flavours of berry and grape. They add their specific flavour to soups, stews and sauces.